One Maritime's unique search engine delivers a mix of information from multiple data sources and gives subscribers access to leading maritime catalogues, vessel catalogues, supplier catalogues, vessel information, vessel locations, suppliers and wholesalers. 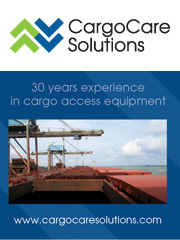 We provide a unique collaborative environment between all maritime industry parties. For further information, please visit our info area. Non-members can use our company search engine to source ship suppliers around the world - free of charge - by clicking on the search field at the top of the site.